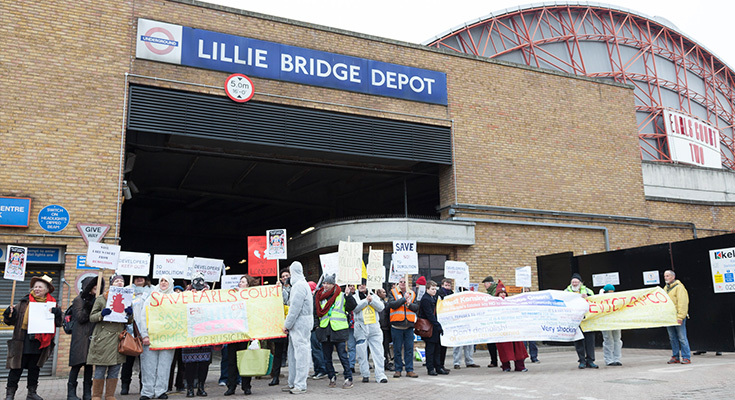 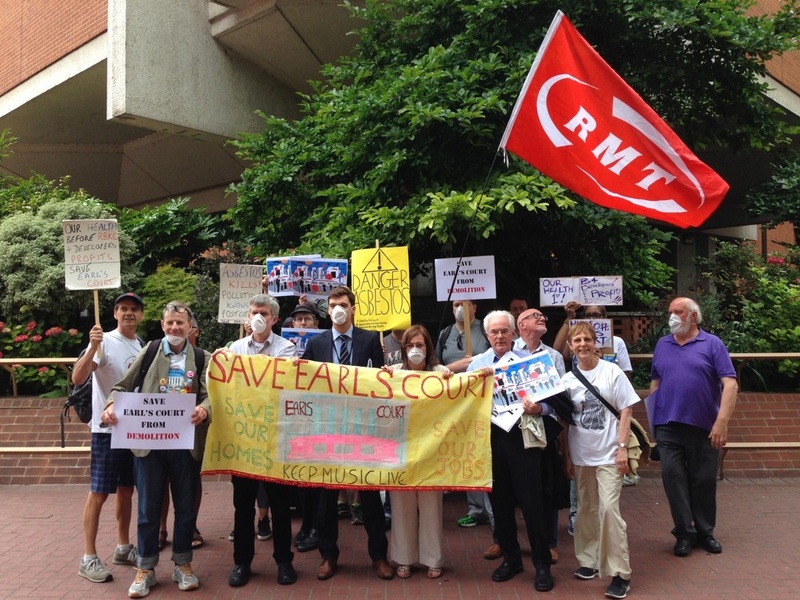 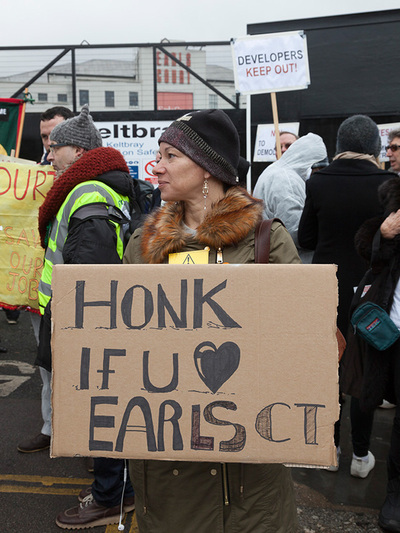 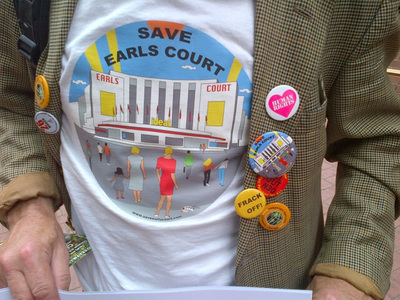 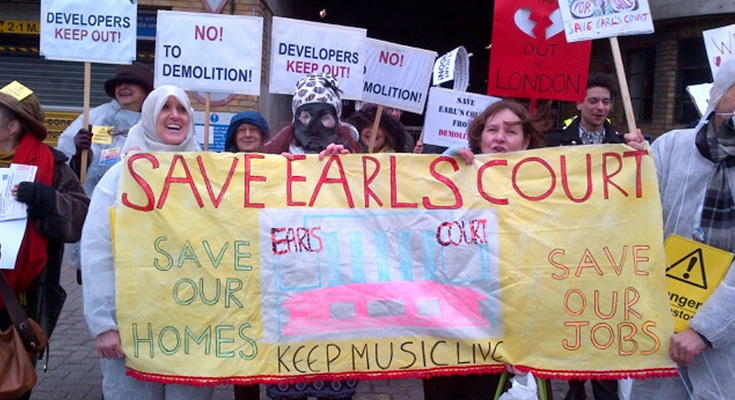 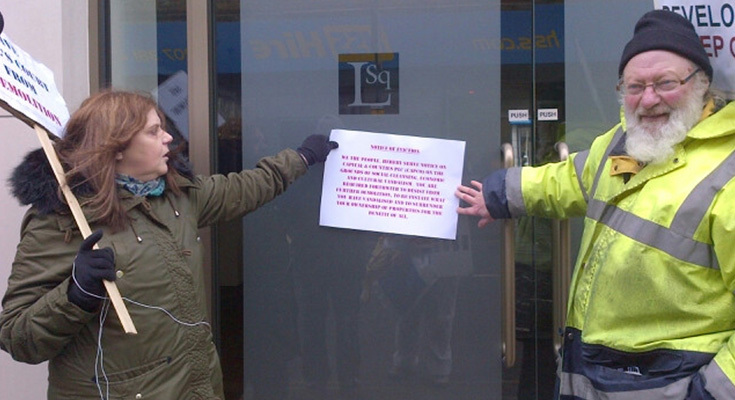 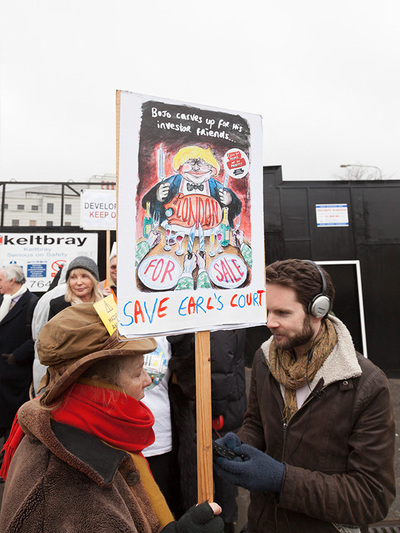 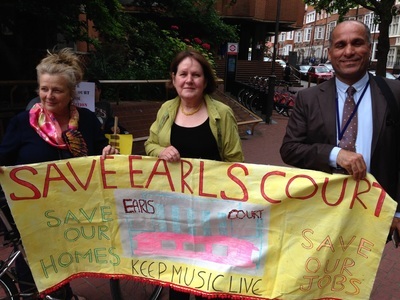 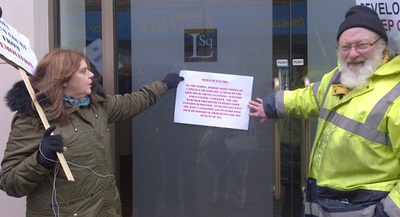 ECAAG Protest - Save Earl's Court! 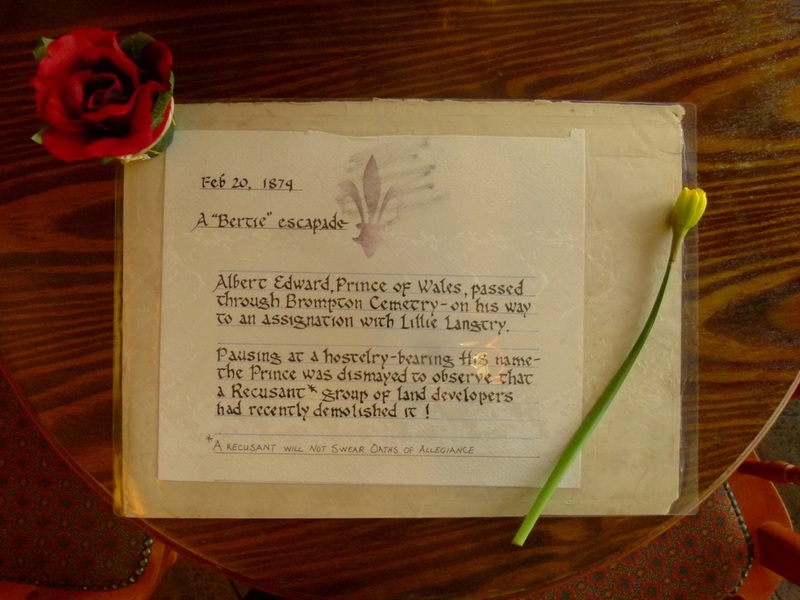 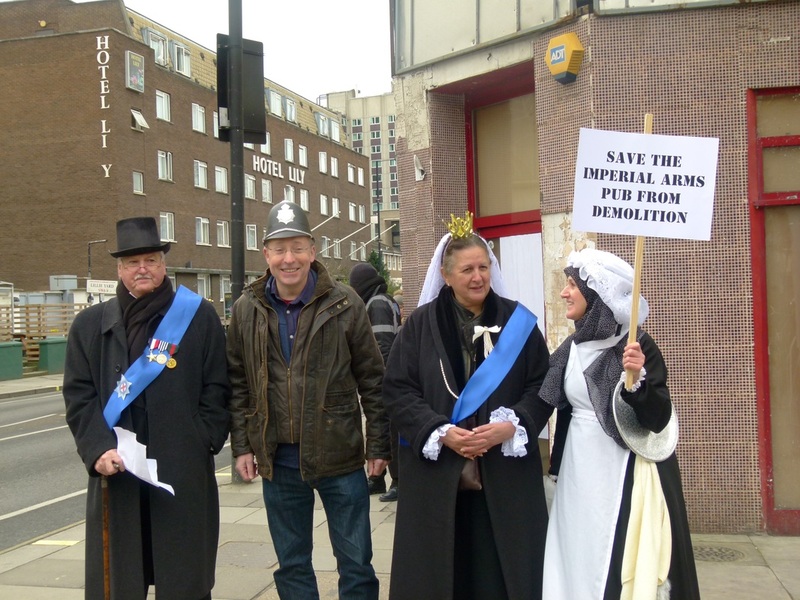 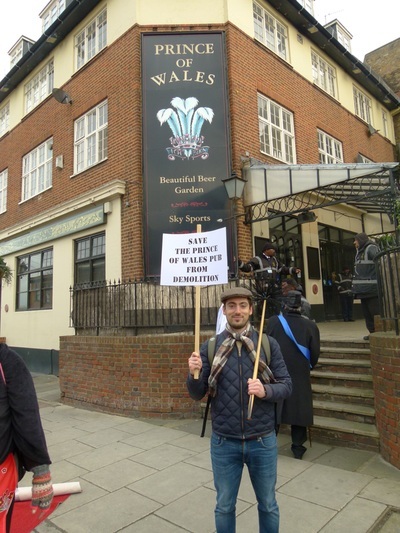 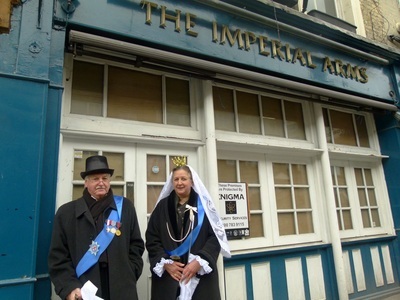 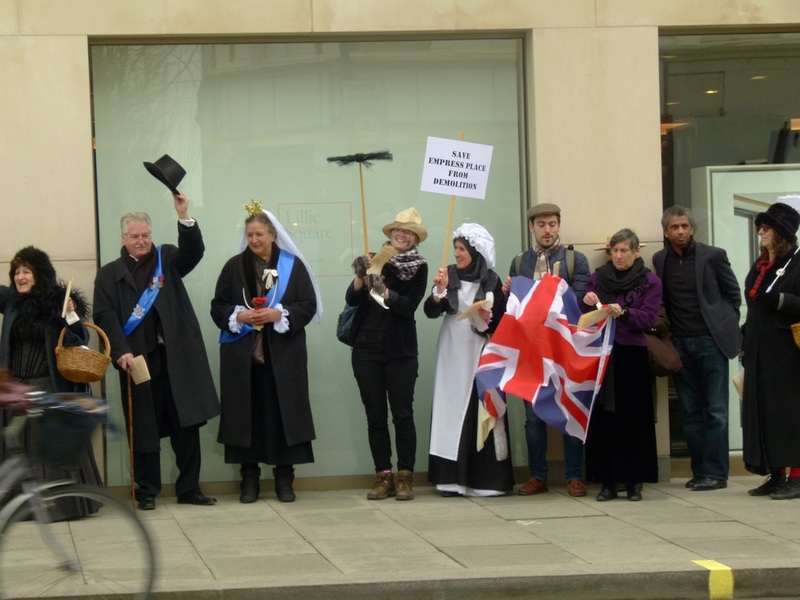 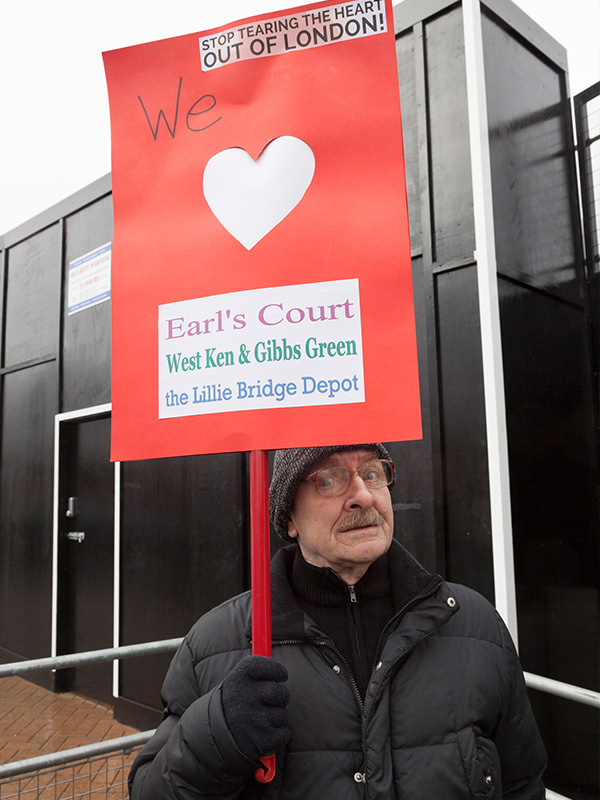 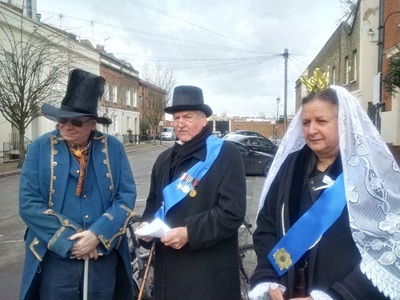 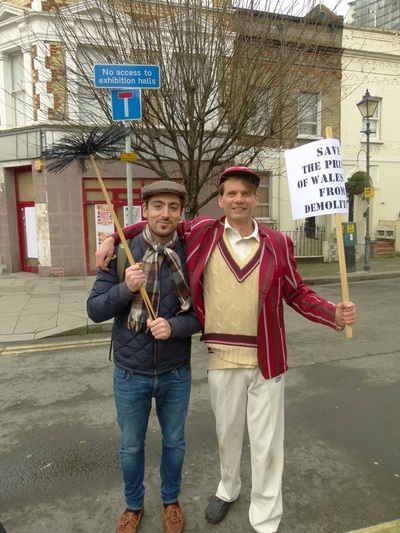 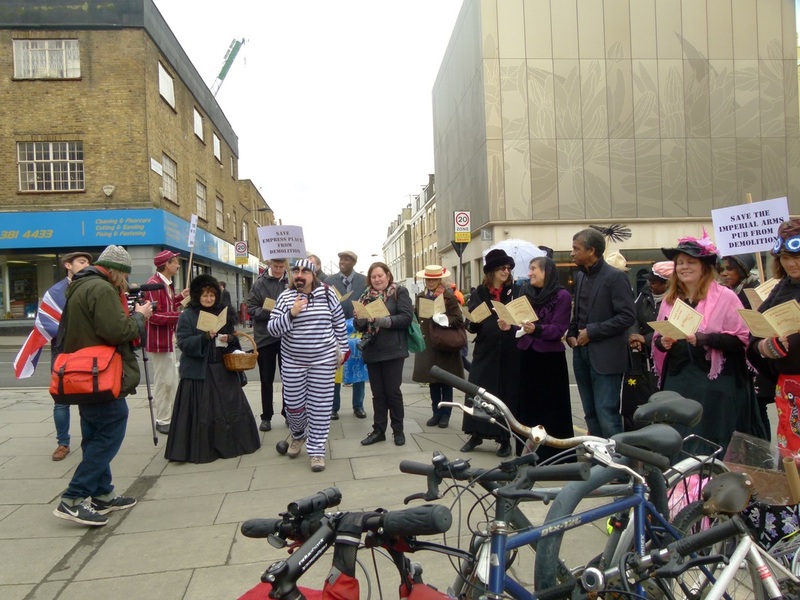 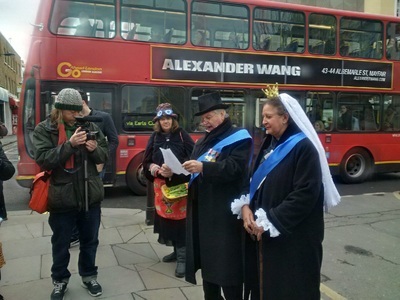 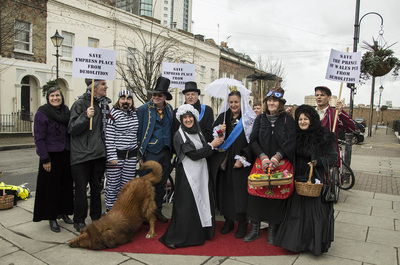 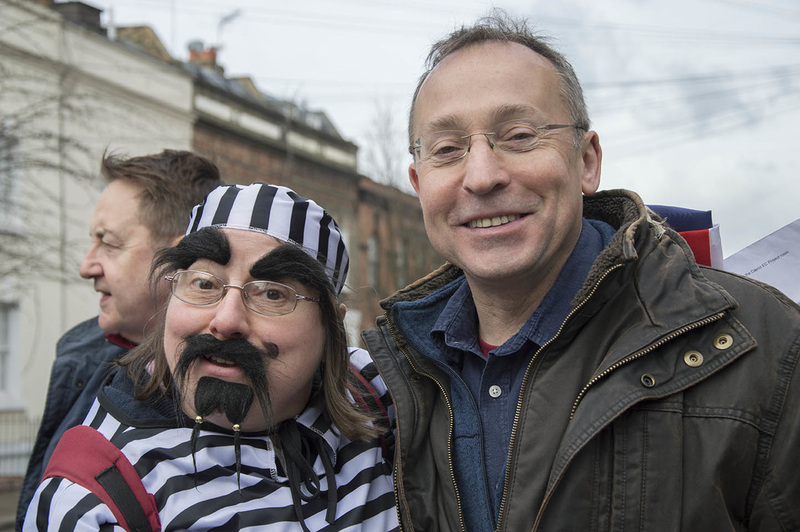 The Earl's Court Area Action Group invited local residents and supporters to a jolly Victorian promenade along Empress Place in Hammersmith on the 20th February, 2016. Attendees welcomed "HM Queen Victoria" and "HRH The Prince of Wales" to Empress Place who both made impassioned speeches in favour of saving our heritage from demolition. 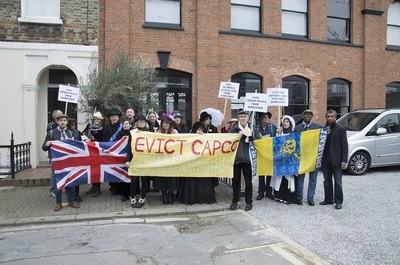 HM Queen Victoria said "Get out of my pub, Capco!" Singing music hall songs, accompanied by a talented viola player, attendees strolled around Empress Place. 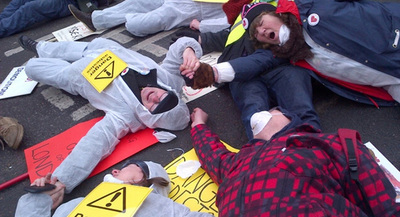 Chants rang out: "Capco, Capco shame on you!" 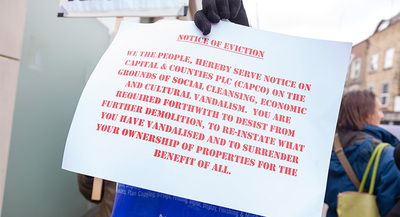 and "Capco, Capco off our streets!" 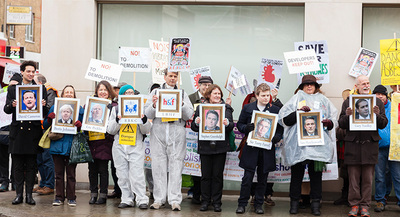 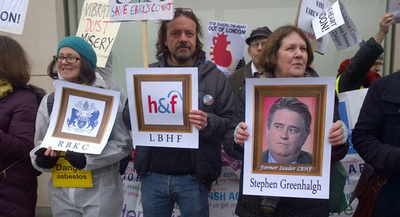 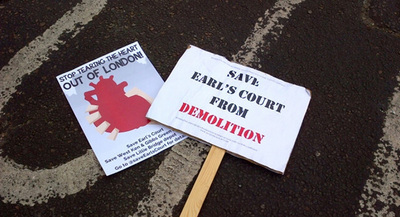 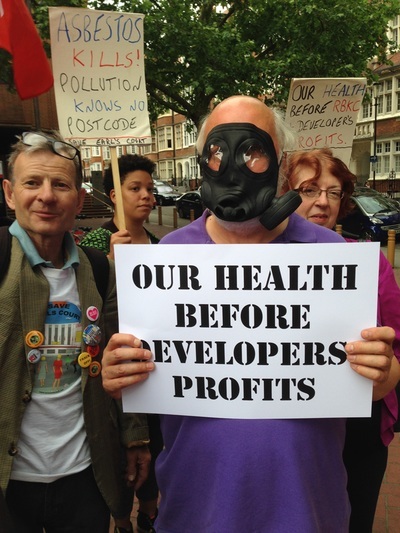 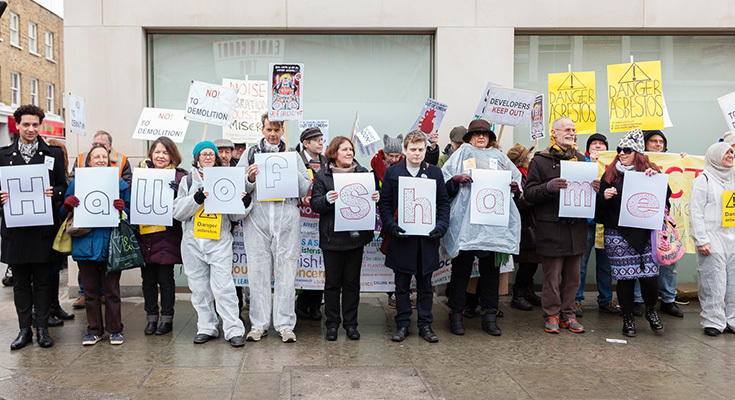 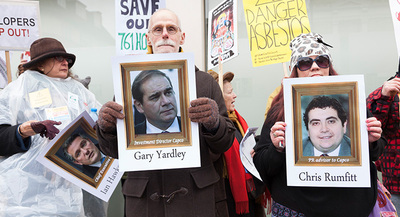 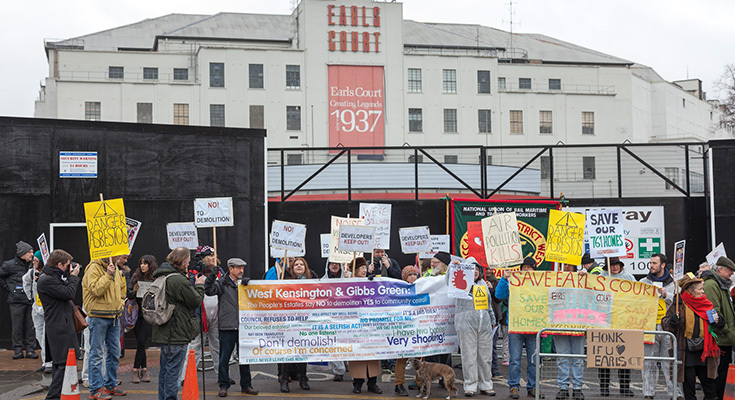 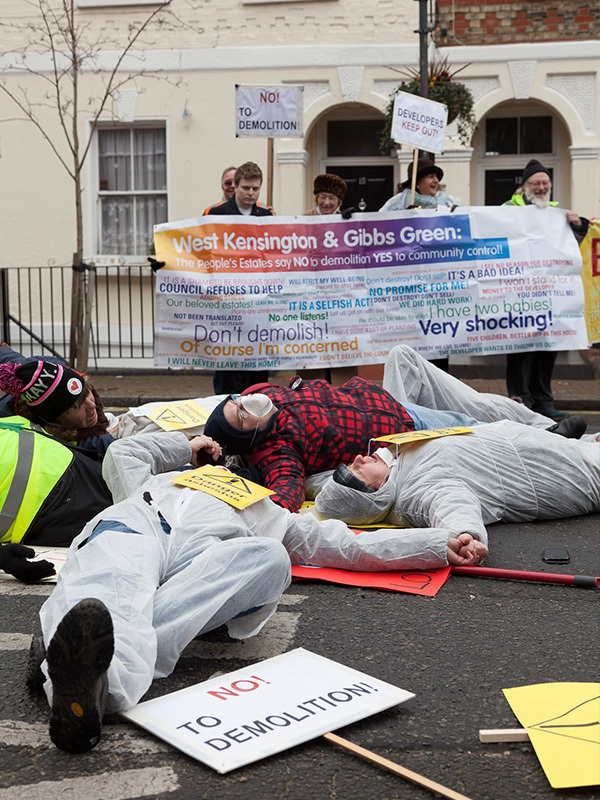 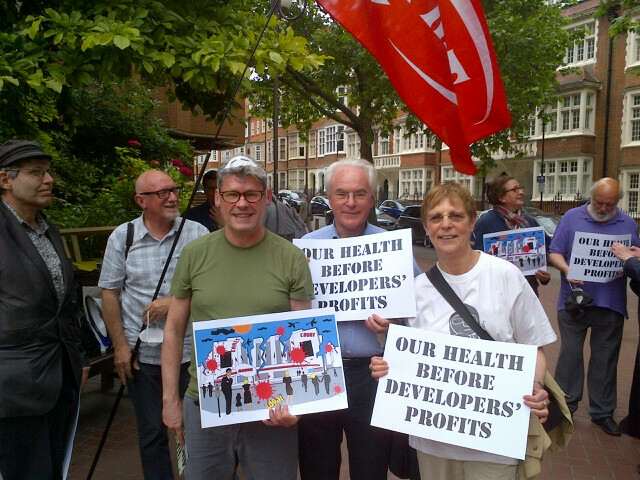 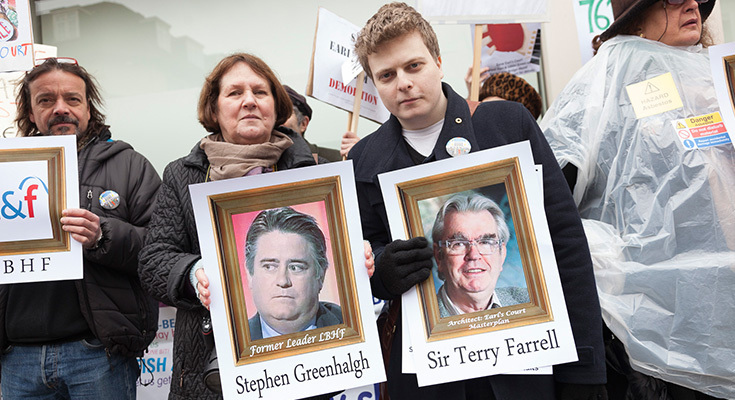 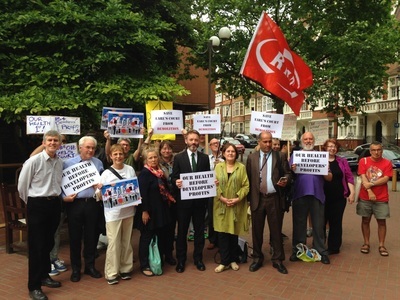 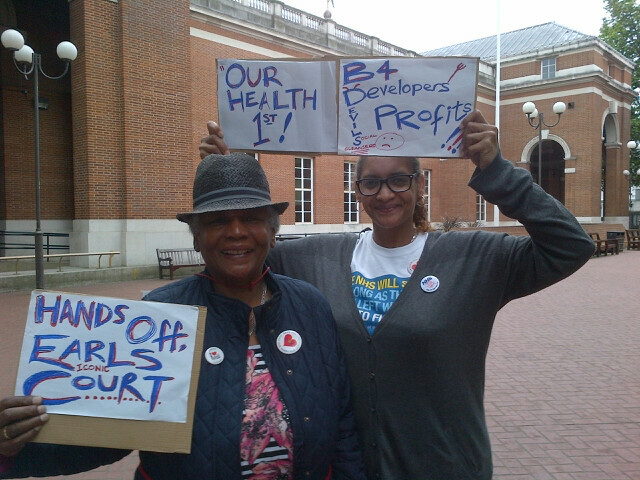 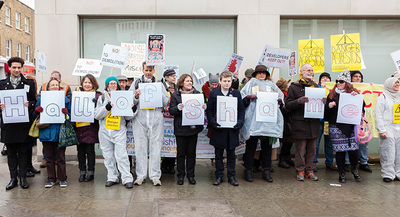 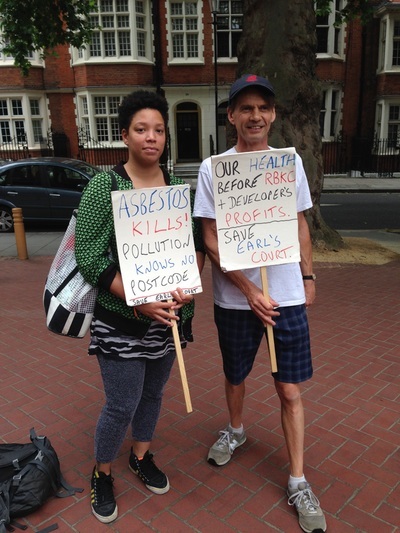 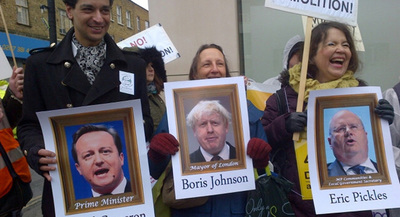 The Earl's Court Area Action Group called for a peaceful protest outside Kensington and Chelsea Town Hall on the 24th June, 2015 when the petition raised by David Akan, Robina Rose and Guy Rubin calling for an immediate halt to the demolition of the Earls Court Exhibition Centre on public health grounds was to be debated by the full council. 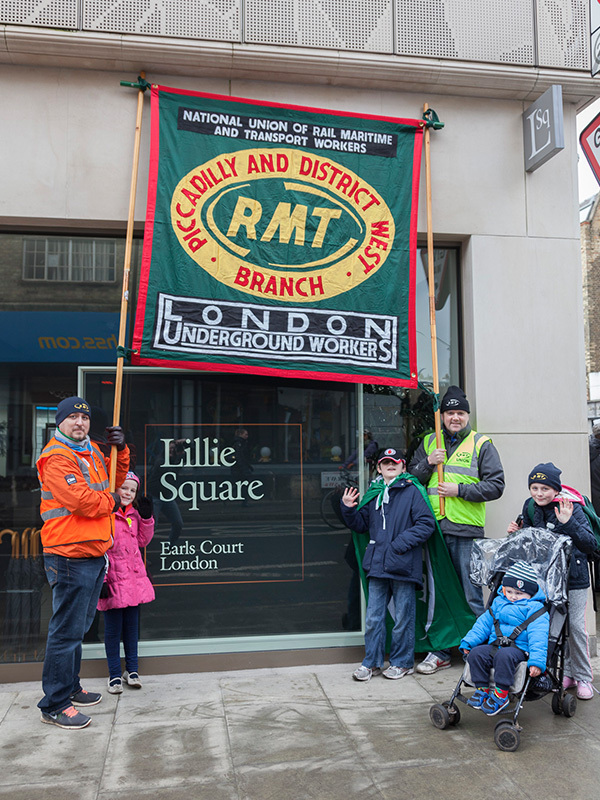 Residents from Earl's Court, West Kensington and Notting Hill Gate came together as well as members of the RMT Union and the Save Charing Cross and Hammersmith hospitals campaign. 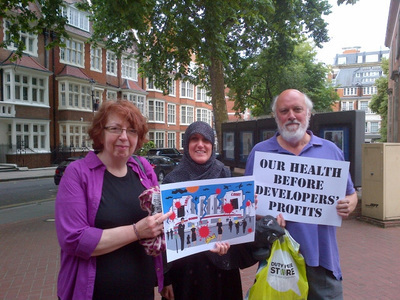 Westway 23 and the Grenfell Action Group were also represented.